I wish to make you aware of my decision to resign as Chair of West Surrey CTC. This will become effective today, 6th March 2014. I will also suspend my ride leading role and will re-consider this latter decision in the autumn. Let me sincerely thank all of you club and committee members for your fantastic support, guidance, and encouragement in putting together such building blocks which I am convinced will see our club very well positioned for a vibrant future. I therefore encourage everyone to continue “rowing together” on this promising but yet still very fragile modernisation and rejuvenation trajectory. For those who are not rowing yet or are rowing in the opposite direction, I urge you to make an individual decision to simply “get on with it”. Please give your new Chair, Committee, and ride leaders your full support in the true spirit of collaborative followership. These nominated volunteers have the thankless task of running the club on your behalf and can ill afford to have their energy frittered away by easily aggrieved constituents who stand in the way of reasonable progress. Without your collaborative elan, we simply run the risk of crawling back to our ill-adapted 20th Century practices and, gradually wasting away as an ageing and, more importantly, unattractive club. Please speak up to make sure this does not happen. Wishing you all the very best. It was a genuine pleasure serving you. I think it would be fair to say that in her brief tenure as Chair, Louise’s energy and enthusiasm has left an indelible and very valuable impression on West Surrey CTC and I am sure that the vast majority of us would wish to join me in thanking her very much for her efforts. It was great to see her yesterday dishing out her usual quota of Gallic bonhomie to all and sundry. Every group needs someone like Louise and I would urge everyone, in their own way, to spread a similar amount of friendliness to those around them. No club or organisation can rest on its laurels; to merely want a club to continue in the way it always has is to see a club decay and dry up in the longterm (along with those members who oppose change of any kind). Changes, to reflect the changes we observe every day in so many ways, are essential if we are to remain a lively and successful club, and attract new members. 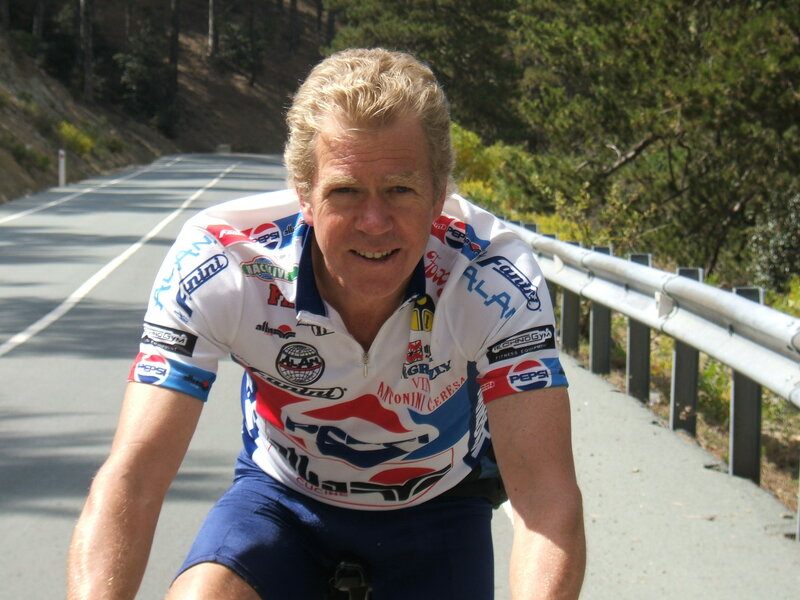 There are a great many cycling clubs out there nowadays and it’s important that CTC in general, and West Surrey CTC in particular, is not seen as a club for old folk who have no desire to move with the times. When it comes to riding our bikes – for most of us the reason why we’re a member of the club – in order to do this as safely as possible we must adapt the way we ride as a group. No one could possibly refute the fact that more drivers, more aggression and more potholes equates to more potential danger every time we go out on our bikes; our ride leaders, in taking on this vital and often unappreciated role, have a duty of care which has to be taken seriously. 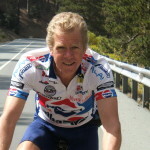 The effort your club goes to to ensure club members’ safety can be seen in the attention to detail given to the recently revised Group Riding Guidelines, not to mention last weekend’s Ride Leader Workshop. Again, I’m sure everyone will join me in thanking everyone concerned. Similarly, when it comes to communication, people nowadays use a variety of means to communicate. The problem is that some people are, quite rightly, very sceptical about some of these, and downright scared of others. None of us want email spam or, worse, viruses or any of the numerous other scams which come with emails. Rest assured that, for the purpose of communicating with you, your email addresses are safe with us. As for Twitter, Facebook or, dare I say it, blogs like the one you’re reading now, they’re basically harmless and I would urge you to dip your toe in the water: tread warily and use them sensibly and a huge amount of value can be obtained from them. 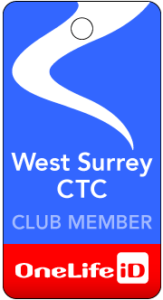 Before too long, West Surrey CTC will have it’s own Facebook page and I’ll be sharing links on this blog to other blogs which, IMHO (in my humble opinion) could be of interest to the membership. Similarly, anything you discover that you think could be of interest to others – do send it to me at chair@westsurreyctc.co.uk and I’ll put it up on this blog. Your comments are always welcome, either privately to me as your new Chairman, or by commenting directly on to this blog.